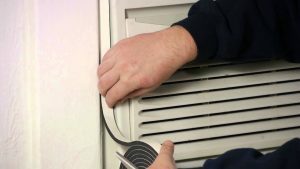 Best Air Conditioning & Heating Service Partlow, VA | Robert B. Payne, Inc.
Robert B. Payne, Inc. is the most trusted source of air conditioning and heating service in Partlow, VA. We routinely provide results for both homeowners and local businesses in dire need of a solution. When your air conditioning or heating system fails, we’re the first call most make. Why? Because our service is both affordable and proven effective! Robert B. Payne, Inc. was built with the intention of offering locals heating and cooling solutions. When temperatures rise or drop, you want to feel comfortable in your own home. Everyone has the very same desire. Unfortunately, not everyone has a working system. We would like to change that. Our services are built from the ground up to provide results! Professional installation from Robert B. Payne, Inc. is an investment. When installing or replacing your system, we effectively reduce the need for future repairs. Furthermore, our installation services have been proven to increase energy efficiency and extend the lifespan of modern systems! Even with professional installation, we cannot recommend routine maintenance enough. Even the most innovative HVAC systems require an air filter change, a thorough cleaning, and the occasional fix. Such fixes are important. If you want to avoid costly repairs, let us get in there and solve problems today! A broken air conditioner could mean numerous things, such as a faulty thermostat, coolant issues, or broken internal pieces. Whatever the problem, we are equipped to repair the issue today. Our fully-equipped trucks are at your whim, ensuring you enjoy a more comfortable environment once more! Schedule quality air conditioning and heating service in Partlow, VA. Call Robert B. Payne, Inc. at (540) 373-5876!